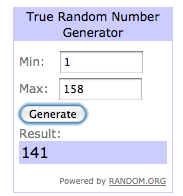 The winner of The Wishing Elephant onesies is Jenny!!! Congratulations! Thank you all for playing & Thank you to The Wishing Elephant for offering such a fun prize!